The Pittsburgh Penguins have signed forward Oskar Sundqvist to a three-year entry-level contract....Who is Oskar Sundqvist? 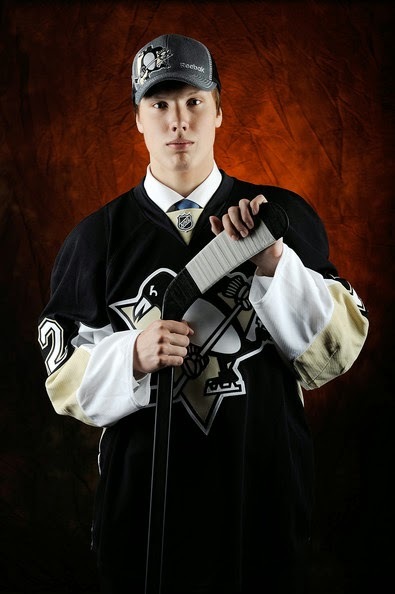 Sundqvist is a 20 yr old 6’3” Center from Boden Sweden. He was drafted 81st overall ( 3rd round) in the 2012 Draft by the Pittsburgh Penguins. At only 190#, he needs to bulk up a bit for the NHL but already has a reputation for having a nasty disposition on the ice; he takes a lot of penalties. In Sweden he has been touted for his skating and offensive skills. He spent the 2013-2014 season with Skelleftea in the Swedish Elite League. He was a contributor to their postseason championship play with six points (4G-2A) in 13 playoff contests in 2013-14. 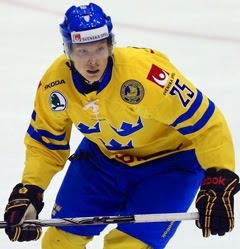 Sundqvist, represented Sweden at the 2014 World Junior Championships, scoring twice in seven games while helping the Swedes earn a silver medal. PI: What’s the scoop with Oskar’s penchant for penalties? Altenbaugh: The issue with penalties was more a problem when he was a Jr player. Oskar has mostly behaved himself on the ice this season. PI: Where do you see him fitting on a team? Altenbaugh: Sundqvist has an infectious personality off the ice & plays a smart two way game. Huge man with good hockey IQ. Projects as a third liner, could be a top nine guy if offense continues to come around. Altenbaugh: Puts whole body into his slap shot, nice wrister too. PI: What improvements would you like to see him make? Altenbaugh: He needs to round out his offensive game. He played mostly as a shutdown guy at WJC & in SHL. Exploded offensively in SHL playoffs.